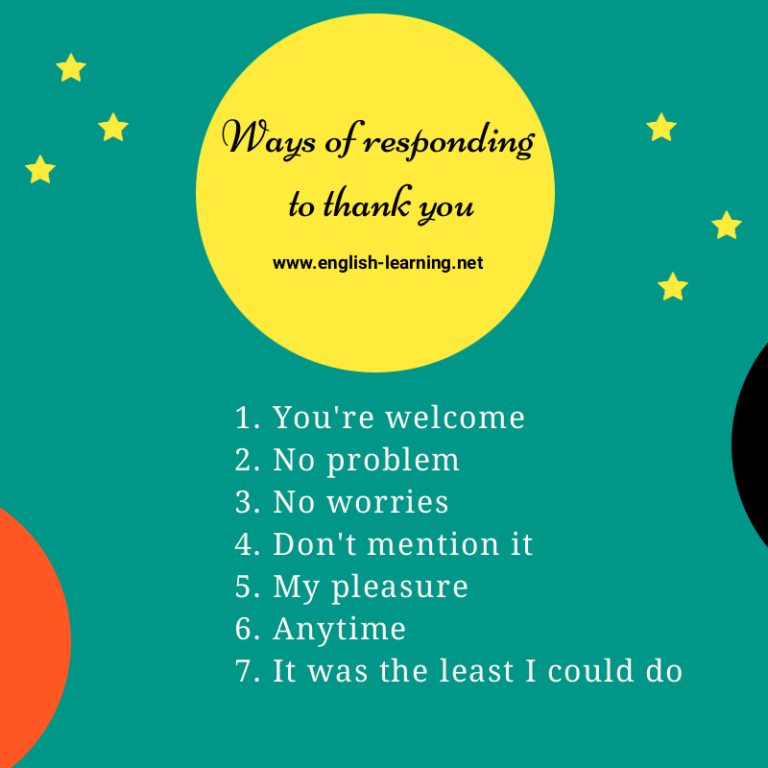 Ways of responding to "thank you"
Hello English learners, I hope you are well today. In this lesson,we’re going to learn some cool ways to respond the “thank you” statement. Normally, when you do someone a favor, that person will thank you in return. The following phrases are often used to reply. Steve, thank you for the coffee. Christian, thank you for helping this morning. Don’t mention it. We’re friends, right? Thank you for giving the seat. 7. It was the least I could do. Hey Martin, thanks for the ride this morning. It was the least you could do. Call me if you need a ride next time. OK?